Almost 99% of the mass of the human body is made up of oxygen, carbon, hydrogen, nitrogen, calcium, and phosphorus. Magnesium is one of a select few minerals that make up the remaining 1%. It may seem insignificant, especially when compared to the superstar elements that make up the 99%. But without magnesium you would die. Just as one tiny fuse can stop your car from rolling, a life without miniature magnesium would mean no life at all. Magnesium is crucial for hundreds of biochemical reactions in the body. It helps to: regulate muscle and nerve function; keep heart rhythm steady; support a healthy immune system; keep bones strong; regulate blood sugar levels; promote normal blood pressure, and is involved in energy metabolism and protein synthesis. It is known that all minerals work together as a team. If one mineral is missing, it actually reduces or stops the performance of the others. 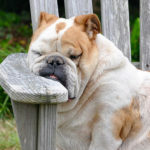 There are many minerals needed to ensure good bone health. Calcium first comes to mind as it makes up a large part of your bone mass. 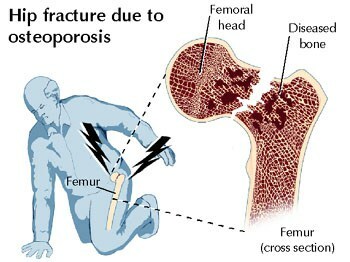 But in the western world we consume lots of calcium, yet still have the highest rates of osteoporosis. Why? Because calcium doesn’t automatically go from your mouth to your bones. The rate at which calcium dissolves, then absorbs into your bloodstream and then is directed to your bones is affected either up or down by the amount of other minerals and vitamins. Magnesium is one of the critical minerals for getting calcium to the bones – because it affects calcium metabolism and the hormones that regulate it. Over 127,000 participants (85,060 women and 42,872 men) were examined for examine risk factors for developing type 2 diabetes. They had no history of diabetes, cardiovascular disease, or cancer at baseline. Called the Nurses’ Health Study (NHS) and the Health Professionals’ Follow-up Study (HFS) it followed women for 18 years and men for 12 years. There is an established connection with vitamin D deficiency and diabetes (3) that has been well publicized in the news. As a result, more people are becoming aware of the need for vitamin D.
Less known however, is that if you don’t get enough magnesium, you can’t convert vitamin D into its active form. Magnesium, especially when we get it from magnesium rich foods, is a dynamic mineral capable of doing great things. 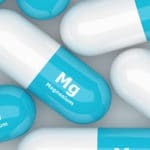 And there are no known cases of excessive dietary magnesium causing toxicity. For reasons noted above, this number should be adhered to more carefully if the source is supplements. However, as with the study in the journal Circulation mentioned above, magnesium benefits to do with heart health have been observed in participants taking over 700 mg per day, via supplements. 1. Institute of Medicine. Food and Nutrition Board. Dietary Reference Intakes: Calcium, Phosphorus, Magnesium, Vitamin D and Fluoride. National Academy Press. Washington, DC, 1999. 2. Lopez-Ridaura R, Willett WC, Rimm EB, Liu S, Stampfer MJ, Manson JE, Hu FB. Magnesium intake and risk of type 2 diabetes in men and women. Diabetes Care 2004;27:134-40. 4. Ascherio A, Rimm EB, Hernan MA, Giovannucci EL, Kawachi I, Stampfer MJ, Willett WC. Intake of potassium, magnesium, calcium, and fiber and risk of stroke among US men. Circulation 1998;98:1198-204. 6. Jaing T-H, Hung I-H, Chung H-T, Lai C-H, Liu W-M, Chang K-W. Acute hypermagnesemia: a rare complication of antacid administration after bone marrow transplantation. Clinica Chimica Acta 2002;326:201-3. 7. Institute of Medicine. Food and Nutrition Board. Dietary Reference Intakes: Calcium, Phosphorus, Magnesium, Vitamin D and Fluoride. National Academy Press. Washington, DC, 1999. 9.U.S. Department of Agriculture, Agricultural Research Service. 2011. USDA National Nutrient Database for Standard Reference, Release 24. Nutrient Data Laboratory Home Page, http://www.ars.usda.gov/ba/bhnrc/ndl.